We love colorful decorating items for homes. They cheer us up and make us remember of those beautiful times when we were happy careless children. That's why we immediately spotted Paradise Tree Coat Stand made from polyethylene and galvanized steel, a 2009 Oiva Toikka design. 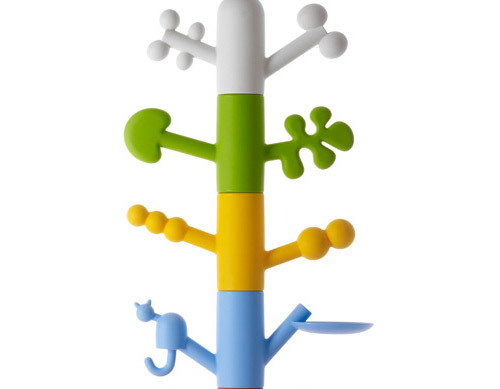 It is a delightful zoo motif decorative object for the kid's room and also a functional place for hats and coats. Plus, the three inner polyethylene elements are interchangeable and can rotate. The base and inner frame are weighted in galvanized steel. 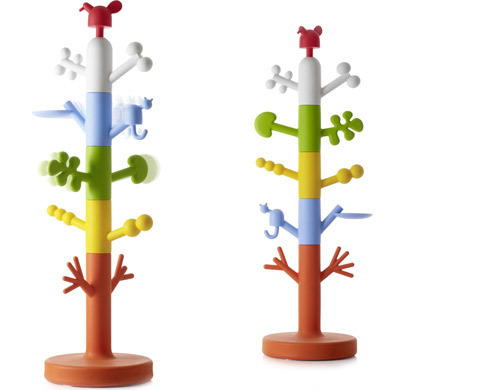 Colorful, useful, easy to handle, Paradise Tree Coat Stand is a total must-have ($756.00, hivemodern.com).